Honored for her “excellent musical instincts”, “great emotion, sensitivity, temperament” and “wonderfully committed playing”, Polish cellist Angelika Machnik – Jones has performed extensively as a recitalist, soloist and chamber musician throughout Poland, Germany and United States. As a soloist, she has performed with Delta Symphony Orchestra, Eastern Music Festival Symphony Orchestra, Oklahoma City University Symphony Orchestra, Oklahoma Community Orchestra, University of Oklahoma Civic Orchestra, University of Oklahoma Symphony Orchestra and Fort Smith Symphony. She has appeared in several music festivals including Lancut International Music Festival, National Orchestral Institute, Eastern Music Festival, Texas Music Festival and Mimir Chamber Music Festival. Mrs. Machnik-Jones performed on OETA – a local Oklahoma PBS television station and recently her performance was featured in the FOX 25 News. She was also featured in Daily Oklahoman, Greensboro News, Jonesboro Sun and the City Wire in Fort Smith. Angelika won several prizes both in Poland and United States. In Poland, she received the Fourth Prize in Bacewicz International Chamber Music Competition, playing with Pratum Trio. Since moving to United States, she received the First Prize in Delta Symphony Concerto Competition, Third Prize in Gordon Parks Concerto Competition. She was a winner of Eastern Music Festival Concerto Competition and Oklahoma City University Concerto Competition. Angelika also received Second Prize in Crescendo Music Awards and the First Prize in Oklahoma Community Orchestra Concerto Competition. While in Dallas, she was the First Prize winner in Hubbard Solo and Chamber Music Competition. Mrs. Machnik – Jones began her cello studies at the age of ten in the Oginski Music School in Poland. From there she went to study with a famous Polish pedagogue Jadwiga Ewald in the High School of Music in Gdansk. After graduating, Angelika entered the Moniuszko Academy of Music. One year later she received a full scholarship to study at Oklahoma City University. She graduated from this university in 2007, receiving a Bachelors Degree in Cello Performance. 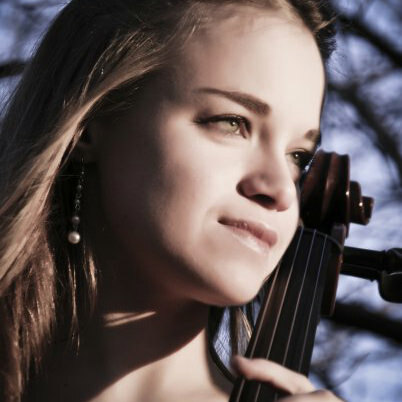 That same year she received a full scholarship from Southern Methodist University in Dallas, Texas, and began her studies with the world–renowned cellist Andres Diaz. She graduated in 2009, receiving a Masters in Cello Performance. Her past orchestral experience includes Abilene Philharmonic, Fort Smith Symphony Orchestra, Irving Symphony Orchestra, Plano Symphony Orchestra, Las Colinas Symphony Orchestra, National Orchestral Institute Orchestra, Eastern Music Festival Orchestra (principal cello) and Texas Music Festival Orchestra (principal cello). Mrs. Machnik – Jones currently resides in Oklahoma City with her husband Dustin Jones. She plays with Oklahoma City Philharmonic, Fort Smith Symphony, Lawton Philharmonic and she is working on her Doctorate of Musical Arts degree at the University of Oklahoma. In addition to performing, Angelika Machnik-Jones is also a passionate and committed teacher. She is the founder and director of Oklahoma Conservatory of Music. Her students are winners of different competitions around the state and receive top chairs in many honor orchestras.